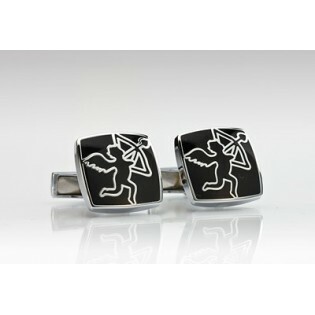 Make a statement of love with these handsome and dazzling cupid themed cufflinks in black resin and stainless steel. The simple outlined motif strikes a perfect balance between whimsy and understated luxury. 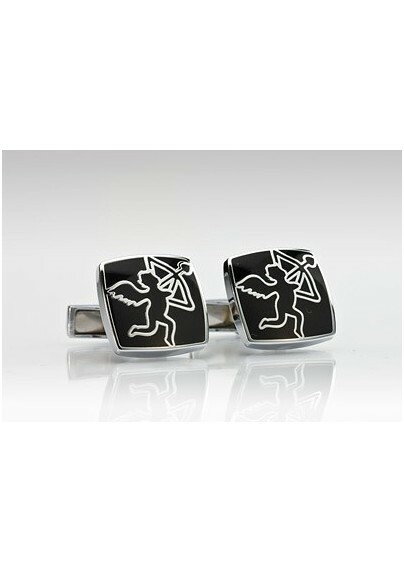 Cupid is the god of love and these cufflinks are sure to be your most coveted accessory. We love to see these cufflinks paired with a patterned french cuff dress shirt. Designed by Mont Pellier.